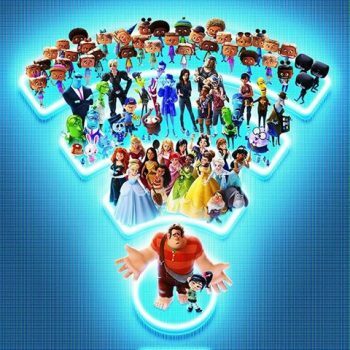 It really makes you wonder why Disney, ostensibly one of our cultural gatekeepers supposedly providing wholesome, kid-friendly entertainment, chose to make Ralph Breaks the Internet, and not something less potentially morally compromising, like “Ralph Starts a Ponzi Scheme” or “Ralph Runs for Congress.” Making a kids’ movie set on the internet seems like almost as good an idea as setting one in Hell. 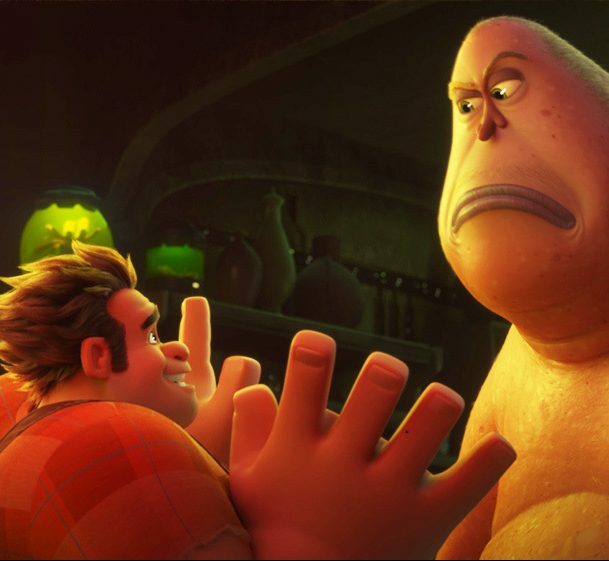 It takes a certain kind of amateur movie reviewer to admit when he hasn’t seen the movie he’s reviewing, only seen the trailer over and over and taken an educated guess at its contents: in going online, Ralph could learn one weird trick to cut his credit card fees, eliminate unsightly belly fat, and augment his manhood. Maybe Ralph gets catfished, by a literal catfish. Or he and his cohort Vanellope Von Schweetz could light out for the Dark Web, and try to place an order with the now-defunct Silk Road. Or, and this might be the best idea of all, Ralph could tweet something corrosively offensive at 3am and then have to make the talk-show circuit or host a Reddit AMA as penance. But its more likely that Ralph will endure a terabyte’s worth of oh-so topical humor about the internet: I’m imagining a lot of cat videos and maybe even a Rick Roll or two if Disney feels like shelling out the cash for “Never Going to Give You Up.” And there are probably a few IPs even Disney won’t get the rights to; I bet there’ll be Gloogel, or TooYube or Flutter for those ersatz representations. And, above all, I bet that Ralph learns something vague enough to sound inspirational, like “stick with your friends” or, to paraphrase the title of a recent celebrity memoir, no one is weird on the internet. In short, your curmudgeon correspondent is getting old. But in my day, they made kids’ movies about having outdoor adventures, or searching for treasure, or fighting monsters or something. Now they make movies about memes. Is this an improvement? Does merely asking that question make me an old fogey? Do you think I should have actually watched the movie? Would that have made for a better review? Maybe. But I really didn’t have the time this week, because I was too busy on the internet, posting bitterly angry reviews of Disney films.